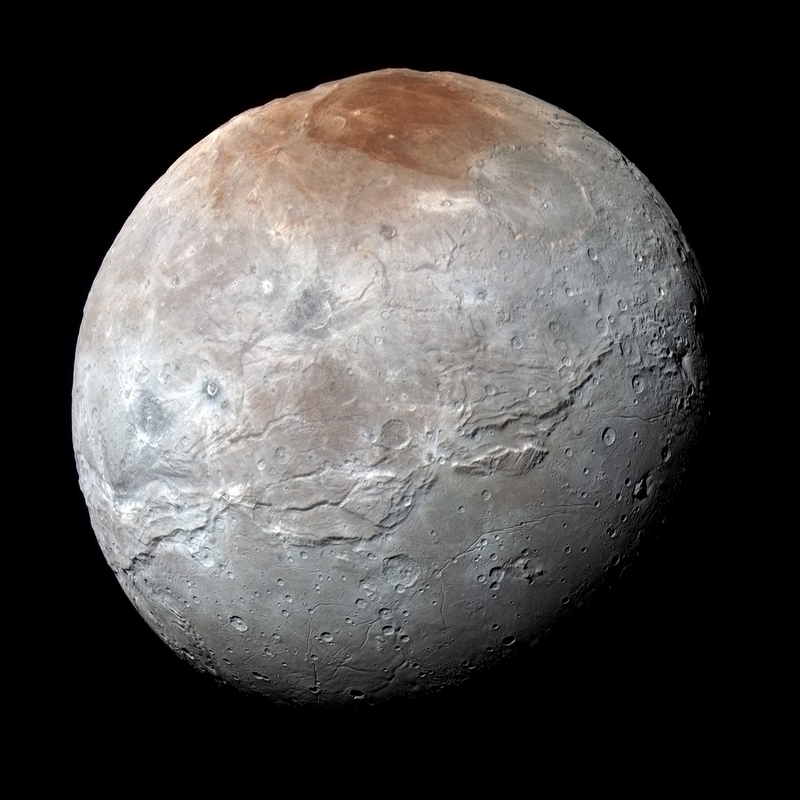 Explanation: A darkened and mysterious north polar region informally known as Mordor Macula caps this premier high-resolution portrait of Charon, Pluto's largest moon. Captured by New Horizons near its closest approach on July 14, the image data was transmitted to Earth on September 21. The combined blue, red, and infrared data is processed to enhance colours, following variations in surface properties with a resolution of about 2.9 kilometres (1.8 miles). 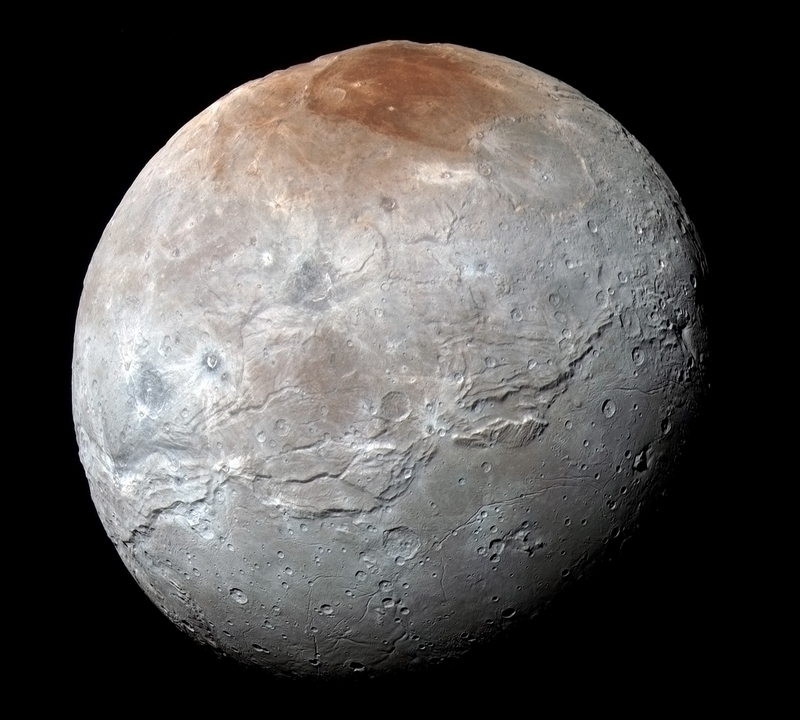 In fact, Charon is 1,214 kilometres (754 miles) across, about 1/10th the size of planet Earth but a whopping 1/2 the diameter of Pluto itself. That makes it the largest satellite relative to its planet in the solar system. This remarkable image of Charon's Pluto-facing hemisphere shows a clearer view of an apparently moon-girdling belt of fractures and canyons that seems to separate smooth southern plains from varied northern terrain.